Under the Programme for a Partnership Government, an All-Party Oireachtas Committee on the Future of Healthcare was established in June 2016 to create a cross-party vision for the future of our health and social care services. The Committee sat for almost a year, engaging with stakeholders across the system and published the Sláintecare Report in May 2017. Sláintecare represents cross-party political consensus on the future of our health and social care services that is unique in the history of the State. 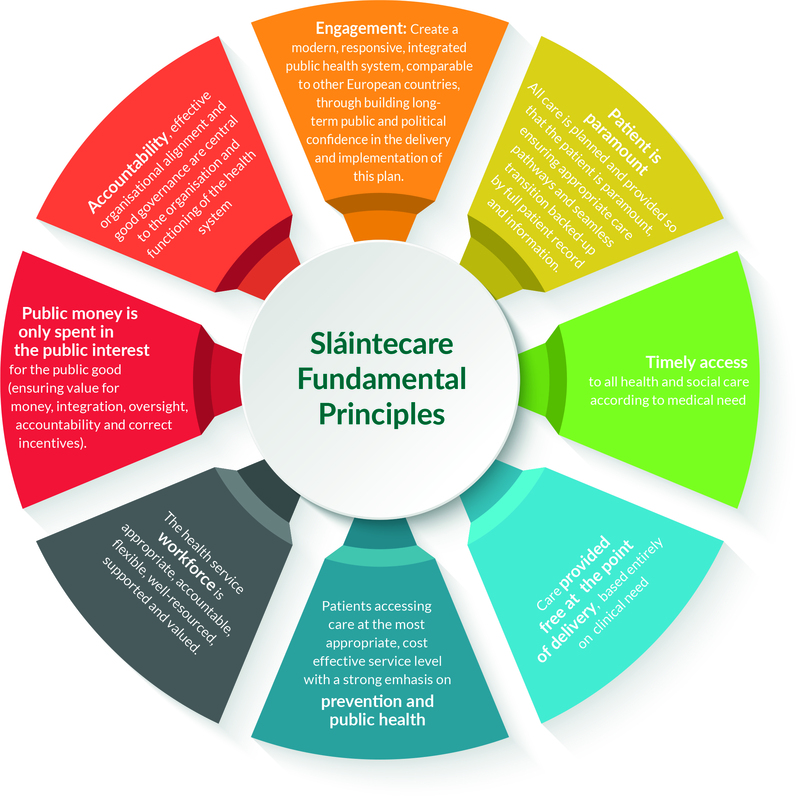 The Sláintecare Report advocates for a healthcare system where the majority of services are delivered in the community, where care is safe, timely, and accessible, and access is based on need not ability to pay.